Did Alaska Airlines Give You 10K Miles for Free? Many Readers Have Received This Nice Gift! 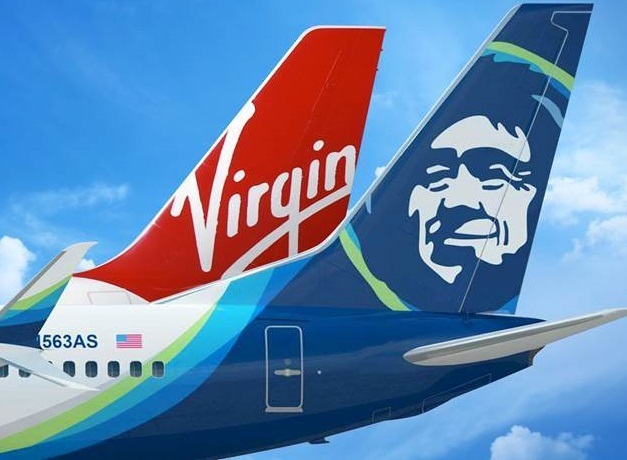 Alaska Airlines recently completed their merger with Virgin America. Apparently as part of the merger (or possibly as a mistake), they have deposited 10,000 miles into many member accounts. While neither my wife nor I have received any miles (BOO! ), several readers have reported in the Miles to Memories Facebook group that they have received them. I have seen enough reports of this bonus posting to believe it is fairly widespread, however there are some people including myself who haven’t received it. The use of the term “Elevate Member” certainly refers to Virgin America’s loyalty program. At the very least it is probably worth checking your account to see if it has posted. Did you receive this 10K bonus? If so, do you have any idea what triggered it? Previous articleCSR Bonus Halved & App Timing, A Year of Reselling & 1M Miles, Tons of Southwest Drama & More! Next articleGreat Qatar Airways Sale: Los Angeles to Singapore from $1,718 roundtrip in Business Class & Up to 15% Off Other Flights! Just checked and confirmed that I have received the 10K miles today. Not sure what triggered it though. Never flew with them before but did have their personal and business cards which I cancelled last year. Am also a Virgin America member to get in on that points match offer with JetBlue. Also never flew with Virgin America nor have any credit cards with them. No-fer on our 5 family accounts. I received the 10k. Never flown Alaska, flown VA roundtrip once. MVP status w/ Alaska due to status match from Frontier. No status with VA. Have biz and personal Alaska cards. Do you have status w/ Alaska? How do they know you are an elevate member? Was there a way to link the accounts? Not yet, but they automatically linked some accounts themselves. Account linking is coming this week I believe. Yep. Saw it today when I ran award wallet update, wasn’t there 24 hrs ago. Keyed in “ELEVATE MEMBER OTO 10K BONUS” into google and got a couple of links explaining it. this was on of the links. Got 10k miles as well. I have a VX account and got the b6 match as well. Got the 10k miles. I’m not particularly active on either carrier though: in 2016, I flew VX once (SFO-LAX) and AS three times (SJC-SEA x2, SEA-SJC). I applied for (but didn’t end up flying) the B6 match. Never flew with VX but a Gold via status match; flew on AS only once but on an award ticket. I’ve linked my VX and AS accounts on the day the merger was finalised. I got it too and I have Elevated account. My cousin got this and I was utterly shocked! Shockeroo- yes I did!! Wow. I didn’t know anything about this until I saw your post. I only had some Elevate miles from signing up for a couple of newsletters in the past few months (per travel blog posts).